There are many misconceptions and misunderstandings related to the Poojas which are performed for various defects present in a horoscope and an average native is usually not able to decide what the proper way and procedure is to perform Pooja for a defect present in his horoscope. Nadi Dosh nivaran Pooja also leads to many misunderstandings as different astrologers and different natives interested in astrology preach and do this Pooja in different ways. In this chapter, we will discuss the procedure which should be followed by the Pandits performing this Pooja for a native. First of all, it should be noted that though I have named this Pooja as Nadi Dosh Nivaran Pooja, this single Pooja can be performed to rectify as many defects in Gun Milan, as many may be present in case of a couple appearing for such Pooja. It means that if a couple suffers from Nadi Dosh alone in their Gun Milan procedure, Nadi Dosh Pooja is performed for them. If they suffer from Bhakut Dosh alone, even then the same Pooja is performed and the name is changed to Bhakut Dosh nivaran pooja. However, if they suffer from more than one defect formed during Gun Milan, even then a single Pooja is performed to rectify all these defects. In such a case, this pooja is named after the biggest defect present during Gun Milan, though the rest of the defects are also covered in the Pooja. For example, if a couple has Nadi Dosh and Doshas related to four other koots, Nadi Dosh nivaran pooja will be performed to rectify Doshas related to all five koots. However, if Nadi matching is fine but 4 koots form Doshas and the biggest one of these koots is Bhakut Dosh, Bhakut Dosh nivaran pooja is performed to rectify Doshas related to all four koots. Knowing this, let’s move ahead with the procedure of pooja. The most important step in performing any kind of Pooja to rectify any defect in a horoscope is to perform the chant of a mantra specified to reduce the strength of that defect and this chant amounts to a number of 125,000 in most cases. Nadi Dosh as well as other Doshas like Bhakoot Dosh, Gan Dosh, Graha Maitri Dosh, Yoni Dosh, Tara Dosh, Vashya Dosh and Varna Dosh which are formed during the process of Gun Milan can all be rectified with the help of a single pooja which is called MahaMritunjaya pooja. This Pooja is carried out with the chant of 125,000 MahaMritunjaya Mantras of lord Shiva. MahaMritunjaya Mantra of Lord Shiva is believed to be capable of removing problems like serious physical injuries, death and other problems of such kind. Hence this Mantra is used to remove the malefic effects of Doshas like Nadi Dosh and other defects formed during the process of Gun Milan. Knowing the nivaran mantra for any kind of Dosh is the most important part of the process for rectification of that Dosh. As we now know the mantra required for performing Nadi Dosh nivaran pooja, let’s discuss how to properly conduct Nadi Dosh nivaran Pooja with the help of MahaMritunjaya mantra which serves as Nadi Dosh nivaran mantra in this case. Nadi Dosh nivaran Pooja should ideally include a chant of 125,000 Nadi Dosh nivaran mantras and rest of the procedure is built around this chant. To start with Nadi Dosh nivaran Pooja, a specific day is chosen for the start and completion of this Pooja which is decided according to the horoscope of the natives. At the day of starting this Pooja, a Sankalp or resolution is taken by the Pandits who are generally 5 in number. In this Sankalp, the head Pandit or the main Pandit takes an oath in front of Lord Shiva that he and his assistant Pandits are going to perform a chant of 125,000 Nadi Dosh nivaran mantras for a specific couple of boy and girl who wish to marry each other, which is the native and his future wife; and their names, their fathers’ names and their family surnames are also mentioned in Sankalp. The names of the Pandits doing this chant are also mentioned, the days taken to complete this chant are also mentioned, which are generally 7 to 8 days for this pooja, and the specific wishes required by the couple as a result of this pooja are also mentioned. This is the first step which starts Nadi Dosh nivaran pooja. The specific benefic results asked by Pandits on behalf of the couple in this case are to rectify the ill effects of Nadi Dosh and any other defects like Bhakoot Dosh etc. formed during match making; and to bless the couple with a happy and prosperous married life. It should be noted that all defects like Nadi Dosh and Bhakoot Dosh which are formed during the process of gun Milan are mutual or relative defects, which means that these defects are not formed in one horoscope and instead these defects are formed in two horoscopes relative to each other. Hence both boy’s and girl’s presence, physically or by proxy is compulsory in order to conduct this pooja. It means that this pooja is conducted for the couple as a whole and not for a boy or a girl alone, like most other poojas which are conducted for one native and not for a couple. 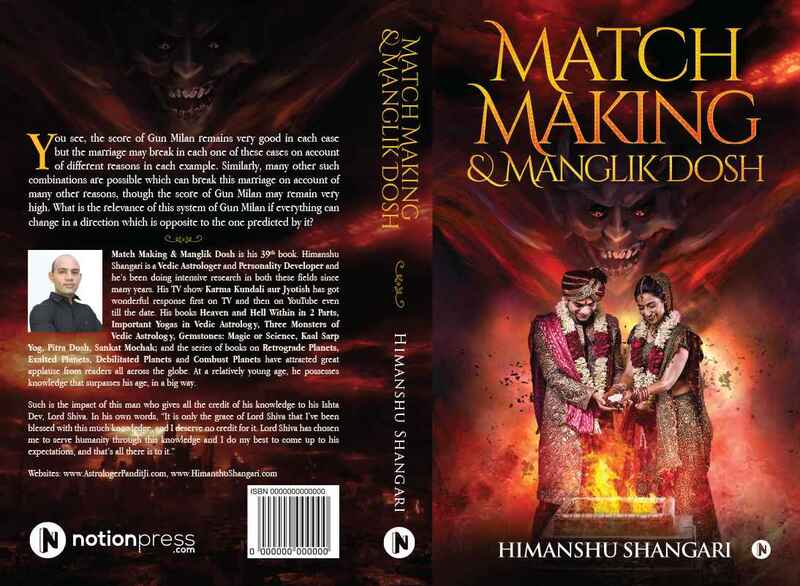 For example, Manglik Dosh is another defect which can adversely affect a marriage and hence Manglik Dosh nivaran pooja is performed to rectify this defect. However, Manglik Dosh is an individual Dosh, which means that this defect forms separately in the horoscopes of boy or girl; or in both horoscopes. Accordingly, Manglik Dosh nivaran pooja is conducted for an individual and not for a couple, which means that in case both bride and groom are suffering from this defect, two separate Manglik Dosh nivaran poojas should be conducted for both the natives and a combined or collective Manglik Dosh nivaran pooja for the couple should not be conducted in such cases. 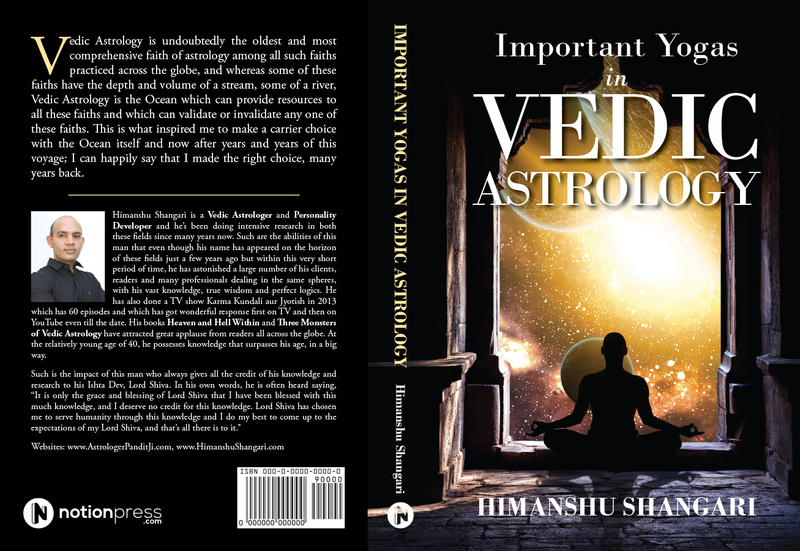 This is due to the reason that any Dosh that forms individually in a horoscope should be rectified individually for that horoscope only; and it should not be rectified by means of collective remedies like a pooja which is being performed collectively for more than one individual suffering from the same defect. The pooja for defects like Nadi Dosh and Bhakoot Dosh on the contrary should never be performed for an individual, as these defects are collective and hence a collective Nadi Dosh or Bhakut Dosh nivaran pooja for future bride and groom should be performed in such cases. It should be noted that Nadi Dosh nivaran pooja should ideally be performed before the marriage takes place, instead of getting it performed after the marriage. The best timing to get this pooja performed is to schedule it 15 to 30 days prior to the day of marriage. However, if a couple misses out on this pooja before their marriage due to various reasons, it should be performed at the earliest after marriage. Coming back to the procedure for Nadi Dosh nivaran Pooja, the head Pandit takes Sankalp on behalf of the couple. After this, all the Pandits start chanting Nadi Dosh nivaran mantra on daily basis for about 6 to 8 hours a day and in such a way that they are able to complete the total chant of 125,000 mantras till the decided day of completion of this Pooja. The Pandits keep chanting Nadi Dosh nivaran mantra on daily basis till the day of completion and they complete the committed chant of mantras on that day. After completion of chant of Nadi Dosh nivaran mantra, the completion ceremony is arranged for the Pooja which can take about 2-3 hours if done with proper procedure. A Pooja for lord Shiva, goddess Parvati, Lord Ganesha and other members of Shiva family is performed first and many kinds of offerings like flowers, fruits, sweets, milk, curd, honey, desi ghee, sugar and many other things are offered to these gods and goddesses. The completion of the resolution or Sankalp taken by the Pandits is repeated and it is conveyed to the gods by Pandits that they have completed the chant of 125,000 Nadi Dosh nivaran mantras, in the time promised by them and in the manner promised by them, at the day of start of this Pooja. It is also mentioned that all this chant and Pooja has been performed on behalf of the couple whose details are again mentioned and it is then preyed that the couple should be blessed with the good results of this Nadi Dosh nivaran Pooja, since the couple has followed all the procedures for this Pooja and they have got this Pooja performed through Pandits in order to rectify Nadi Dosh. Things related to navagraha or some specific planets among navagraha are also offered and donated during the course of this final Pooja ceremony for Nadi Dosh nivaran Pooja. Generally, the things related to all planets among navagraha are donated during the final Pooja for Nadi Dosh nivaran and these things may include rice, wheat, sugar, salt, oil, blanket and some other things, each of which relates to one or the other planet among navagraha. After completion of this Pooja, blessings are taken from the gods and goddesses; and then the ceremony of Havna is started which is the final and a very important ceremony as this is the ceremony through which a direct connection between the natives and the corresponding planets or gods is established with the help of Pandits. Havna is a very important and technical procedure and it should be performed by expert Pandits with great attention and care. After starting the Havna and completing the necessary formalities, the chant of Nadi Dosh nivaran mantra is again started and this time with the completion of each mantra, a sound of Swaaha is chanted by the Pandits and upon the chant of this sound of Swaaha, certain specific things which form the constituents of Pooja Samagri and which can vary from Pooja to Pooja are offered in a specific way to the holy fire which has been lit to perform the Havna for Nadi Dosh nivaran Pooja. This process is repeated again and again; and each time the Pandits chant the sound of Swaaha, Pooja samagri is offered to the holy fire of Havna in a specific way. Once the specific chant of Nadi Dosh nivaran mantras fixed for the Havna is completed, some other important mantras are chanted which may differ from Pooja to Pooja and here again, Pooja samagri is offered to the holy fire of Havna at the sound of Swaaha, at the completion of each mantra. Finally, a dry coconut is filled with certain specific things which may again be different for different Poojas and this coconut is then placed in the holy fire of Havna as the final offering, with the chant of some specific mantras and the desired result is again prayed by the Pandits on behalf of the natives. The clients or the natives are then asked to complete 1, 3 or 7 circles around the Havna kund where each one of these circular movements is called a Pradakshina or a Parikarma and upon the completion of this Parikarma, Nadi Dosh nivaran Pooja is completed. Though Nadi Dosh nivaran Pooja includes many other steps and procedures than the ones mentioned here, these steps are the most important steps of Nadi Dosh nivaran Pooja and they should be done and executed by expert and established Pandits. Missing some of the important procedures or not doing them properly can reduce the desired effects of the Pooja and the natives may not get proper results from their Nadi Dosh nivaran Pooja. There are some precautions which should be observed by the natives during the running time of their Nadi Dosh nivaran Pooja; otherwise they may not get proper results from this Pooja. From the time of start of Nadi Dosh nivaran Pooja till the time of completion of this Pooja, the natives for whom this Pooja is being performed should abstain from eating non vegetarian foods of all kinds including fish and egg, they should stay away from liquors and alcohols of all kinds and they should also stay away from smoking for all this time. Apart from this, the natives should also not make sexual contacts with anyone. The natives should also not engage in any kinds of bad conducts of violence, hatred or any other kinds of conducts which are considered immoral during the running time of Nadi Dosh nivaran Pooja. The natives should try to connect to Nadi Dosh nivaran Pooja on daily basis; which they can do by praying to Lord Shiva daily after taking bath and repeating the Sankalp that the main Pandit had made on their behalf at the start of this Pooja. The natives should address Lord Shiva and say through their words or through their minds that they are getting Nadi Dosh nivaran Pooja performed with the chant of 125,000 mantras and this Pooja is being performed at such and such place by a specific number of Pandits; and that they are following all the procedures and precautions with complete dedication and devotion; and that Lord Shiva should bless them with the best possible results for this Pooja. It should be noted that Nadi Dosh nivaran Pooja can be performed in the presence of the natives as well as in the absence of the natives and in case the natives are unable to be personally present at the place of Nadi Dosh nivaran Pooja, this Pooja is conducted with the help of natives’ photograph or picture in which the natives should be together, no one else should be present in the picture and this picture should be as recent as possible. In this case, the main Pandit will take the Sankalp for Nadi Dosh nivaran Pooja on behalf of the natives in the presence of their photograph or picture. The names of both natives’ fathers and the surnames of their families are spoken in the Sankalp and it is also mentioned by the main Pandit that the natives are unable to attend to this Pooja by means of their personal presence; and hence a specific Pandit whose name and surname is mentioned, will be performing all the rituals to be performed by the natives on behalf of the natives. It should be noted that this Pandit is one of the Pandits who are performing a chant of 125,000 Nadi Dosh nivaran mantras for the natives. This way, the rituals to be performed by the natives at the starting day and completion day of Nadi Dosh nivaran Pooja are performed by the chosen Pandit and it is conveyed by him on both of these days that he is performing these rituals on behalf of the natives whose photograph is always kept present during the Pooja and it is used as a symbol of the natives. For example, if the chosen Pandit is supposed to offer flowers to Lord Shiva, he will first touch his hand carrying the flowers with the picture of the natives and then he will offer those flowers to Lord Shiva. All other rituals are also performed likewise. It is important to note that even if the natives are personally not present for their Nadi Dosh nivaran Pooja, they are strictly supposed to practice all the necessary and already mentioned precautions for their Nadi Dosh nivaran Pooja, in whichever part of the world they may be present during the running time of such Pooja. The natives should also keep repeating their Sankalp for Nadi Dosh nivaran Pooja on daily basis as already mentioned and they should ask for the best results of this Pooja. Getting Nadi Dosh nivaran pooja performed along with the other necessary astrological remedies certainly helps reducing the malefic effects of Nadi Dosh as well as other Doshas formed during Gun Milan, to a great extent. Pitra Dosh is one of the most misinterpreted concepts of Vedic astrology; as many astrologers describe it as the curse of ancestors and accordingly they suggest remedies to pacify and please the ancestors, so that such ancestors may take back their curse. For this reason, these astrologers recommend their clients to get Pitra Dosh nivaran pooja performed at places like Haridwar, Badrinath Dham, Gaya Ji or Trayambkeshwar temple in order to rectify Pitra Dosh present in their horoscopes. These astrologers suggest that Shraadh karmas, poojas and charities should be performed at these places in order to pacify the ancestors. 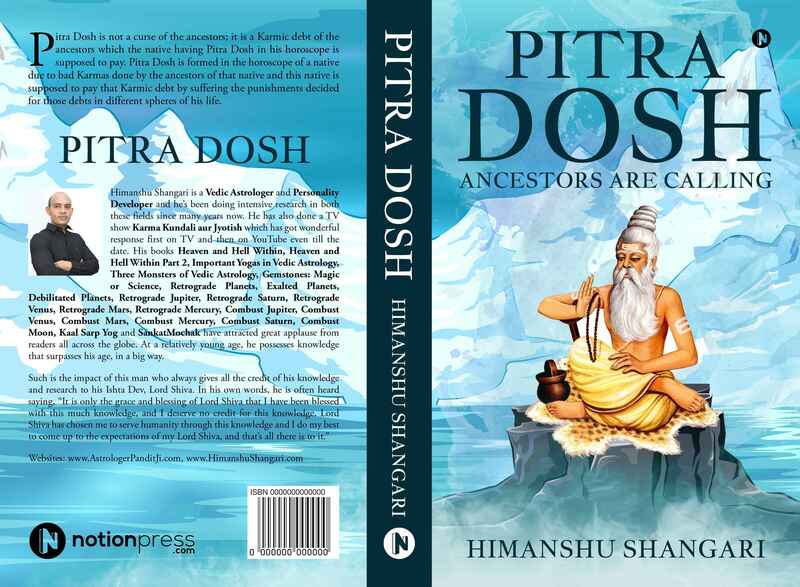 However such remedies are not likely to benefit the natives suffering from Pitra Dosh as Pitra Dosh is not the curse of the ancestors but the ancestors of the native having this defect in his horoscope are themselves cursed. It means that the ancestors of one such native have committed bad karmas and the native has to pay for them. Hence the remedies for this defect; like Pitra Dosh nivaran pooja should not be performed with the goal of pleasing the ancestors, they should be performed with the goal of relieving the ancestors of their karmic debts so that the native may also feel relieved. Before moving ahead with Pitra Dosh nivaran pooja, let’s first understand what Pitra Dosh is. If Sun or the ninth house of a horoscope is afflicted by one or more than one malefic planet, Pitra Dosh is formed in the horoscope. Depending on the planet that causes malefic influence on Sun or the ninth house, Pitra Dosh can be of nine types as there are nine planets among navagraha and each planet can form one type of Pitra Dosh in a horoscope, when it is malefic. Hence in order to perform Pitra Dosh nivaran pooja for a native, the first thing to do is to find out the planet or planets which form this defect in his horoscope and then perform pooja for Pitra Dosh formed by that planet. For the sake of this discussion, we will consider the procedure of Pitra Dosh nivaran pooja when this defect is formed by malefic Saturn in a horoscope. Saturn Pitra Dosh is the type of Pitra Dosh which is formed in a horoscope when Saturn is malefic in the horoscope and it afflicts Sun or the ninth house of the horoscope. Since this type of Pitra Dosh is formed by malefic Saturn in the horoscope, it is called Saturn Pitra Dosh in general. Saturn Pitra Dosh nivaran pooja is performed in order to rectify this defect in a horoscope. This fact should be first analyzed carefully from the horoscope of the native that Pitra Dosh is being formed in his horoscope due to the affliction of malefic Saturn to the ninth house or Sun. This is because, Saturn Pitra Dosh nivaran pooja will rectify the Pitra Dosh present in a horoscope; only if it is formed by malefic Saturn and this pooja won’t do much good if Pitra Dosh present in a horoscope is formed by another planet. Hence it should be made sure that this defect is formed in a horoscope by malefic Saturn and no other planet among navagraha. The most important step in performing any type of pooja to rectify any defect is to perform the chant of a mantra specified to reduce the strength of that defect and this chant amounts to a number of 125,000 in most cases. For example, Saturn Pitra Dosh nivaran pooja should ideally include a chant of 125,000 Saturn Veda mantras; and rest of the procedure is built around this chant. Saturn Pitra Dosh nivaran pooja is generally started on a Saturday and it is generally completed on the following Saturday. The day of start of Saturn Pitra Dosh nivaran pooja can sometimes change depending on the time which is required by the pandits performing this pooja to complete the chant of Saturn Veda mantras. Generally the pandits are able to complete this chant in 7 days due to which this pooja is generally started on a Saturday and it is completed on the following Saturday. All the necessary steps for this pooja are conducted during this time which is Saturday to Saturday. Saturn Pitra Dosh nivaran pooja vidhi or procedure may include many different steps at many stages and it is not possible to mention all those steps here, but we will cover most of the important steps for this pooja. On the starting day of this pooja, a Sankalp or resolution is taken by the pandits who are usually 5 in number. In this Sankalp, the head pandit takes an oath before Lord Shiva that he and his assistant pandits are going to perform a chant of 125,000 Saturn Veda mantras for a specific person who is the native and whose name, his father’s name and his family surname is also mentioned in Sankalp. The names of the pandits doing this chant are also mentioned. Similarly, the days taken to complete this chant are also mentioned and the specific wishes required by the native as a result of this pooja are also mentioned. This is the first step which starts Saturn Pitra Dosh nivaran pooja. The specific wishes prayed by the native generally include the nivaran of Saturn Pitra Dosh in his horoscope, and overall good results. After this, all the pandits start chanting Saturn Veda mantra on daily basis for about 6 to 8 hours a day; and in such a way that they are able to complete the chant of 125,000 mantras till the decided day of completion of this pooja. The pandits keep chanting Saturn Veda mantra on daily basis till the day of the completion and they complete the committed chant of mantras on that day. After completion of chant of Saturn Veda mantra, the completion ceremony is arranged for the pooja, which can take about 2-3 hours if done with proper procedure. A pooja for lord Shiva, goddess Parvati, Lord Ganesha and other members of Shiva family is performed first, and many types of offerings like flowers, fruits, sweets, milk, curd, honey, desi ghee, sugar and many other things are offered to these gods and goddesses. The completion of the resolution or Sankalp taken by the pandits is repeated and it is conveyed to the gods by pandits that they have completed the chant of 125,000 Saturn Veda mantras in the time promised by them and in the manner promised by them. It is also mentioned that this chant and pooja have been performed on behalf of their client whose name and other details are mentioned again. It is then preyed that their client should be blessed with the good results of this Saturn Pitra Dosh nivaran pooja since he has followed all the procedures for this pooja and he has got this pooja performed through pandits in order to rectify Saturn Pitra Dosh present in his horoscope. It should be noted that this pooja performed at the day of completion of Saturn Pitra Dosh nivaran pooja follows specific procedures and accordingly this pooja or its procedure may differ for different types of Pitra Dosh. Things related to and the things signifying navagraha or some specific planets among navagraha are also offered and donated during the course of this final pooja ceremony for Saturn Pitra Dosh nivaran pooja. These things may include, rice, wheat, sugar, salt, milk, blankets, copper utensils, pulses, lentils, white moles, black moles, mustard oil and some other things, each of which relates to one or the other planet among navagraha. A Sankalp is once again made by the main pandit, which says that they have performed this specific pooja to rectify Saturn Pitra Dosh present in the horoscope of the native and that the native is also offering a variety of goods in order to reduce the effect of this Pitra Dosh. After completion of this pooja, blessings are taken from the gods and goddesses; and then the ceremony of Havna is started, which is the final and a very important ceremony as this is the ceremony through which, a direct connection between the native and the corresponding planets or gods is established with the help of pandits. Havna is a very important and technical procedure and it should be carried out by expert pandits with great attention and care. After starting the Havna and after completing the necessary formalities, the chant of Saturn Veda mantra is again started and this time with the completion of each mantra, a sound of Swaaha is chanted by the pandits. Upon the chant of this sound of Swaaha, certain specific things which form the constituents of pooja Samagri which can vary from pooja to pooja; are offered in a specific way to the holy fire which has been lit to perform the Havna for Saturn Pitra Dosh nivaran pooja. This process is repeated again and again; and each time the pandits chant the sound of Swaaha, pooja samagri is offered to the holy fire of Havna in a specific way. Once the specific chant of Saturn Veda mantra fixed for the Havna is completed, some other important mantras are chanted, which may differ from pooja to pooja and here again, pooja samagri is offered to the holy fire of Havna at the sound of Swaaha at the completion of each mantra. Finally, a dry coconut is filled with certain specific things which may again be different for different poojas. This coconut is then placed in the holy fire of Havna as the final offering with the chant of some specific mantras and the desired result is once again preyed by the pandits on behalf of the native. The client or the native is then asked to complete 1, 3 or 7 circles around the Havna kund where each one of these circular movement is called a Pradakshina or a Parikarama and upon the completion of such Parikarmas, Saturn Pitra Dosh nivaran pooja is completed. Though Saturn Pitra Dosh nivaran pooja includes many other steps and procedures than the ones mentioned here, these steps are the most important steps of this pooja and they should be executed by expert pandits. Missing some of the important procedures or not doing them properly can reduce the effects of the pooja and the native may not get proper benefic results from his Saturn Pitra Dosh nivaran pooja. There are some precautions which should be observed by the native during the running time of his Saturn Pitra Dosh nivaran pooja, otherwise he may not get proper results from such this pooja. From the time of start of Saturn Pitra Dosh nivaran pooja till the time of completion of this pooja, the native for whom this pooja is being performed should abstain from eating non vegetarian foods of all types including fish and egg. He should stay away from liquors and alcohols of all types; and he should also stay away from smoking for all this time or he should reduce it as much as he can. Apart from this, the native should also not make sexual contacts with any female including his lawful wife. The native should also not engage in bad conducts of violence, hatred or any other types of conducts which are considered immoral; during the running time of Saturn Pitra Dosh nivaran pooja. The native should try to connect himself to Saturn Pitra Dosh nivaran pooja on daily basis; which he can do by praying to god Saturn; daily after taking bath and repeating the Sankalp that the main Pandit had made on his behalf at the start of this pooja. The native should address god Saturn and say through his words or through his mind that he is getting Saturn Pitra Dosh nivaran pooja performed with a chant of 125,000 Veda mantras of Saturn and this pooja is being performed at such and such place by a specific number of pandits. He should further say that he is following all the procedures and precautions with complete dedication and devotion; and that god Saturn should bless him with the best possible results for this pooja. It should be noted that Saturn Pitra Dosh nivaran pooja can be performed in the presence of the native as well as in the absence of the native. In case the native is unable to be personally present at the place of Saturn Pitra Dosh nivaran pooja, this pooja is conducted with the help of native’s picture, in which the native should be alone and no one else should be present in this picture. This picture should be as recent as possible. In this case, the main pandit will take the sankalp for this pooja on behalf of the native, in the presence of his picture. The name of native’s father and the surname of his family is spoken in the Sankalp and it is also mentioned by the main pandit that this native is unable to attend to this pooja by means of his personal presence; and hence a specific pandit whose name and surname is mentioned, will carry out all the rituals to be performed by the native, on behalf of the native. This pandit is one of the pandits who are going to perform a chant of 125,000 Saturn Veda mantras for the native. This way, the rituals to be performed by the native at the starting day and completion day of Saturn Pitra Dosh nivaran pooja are performed by the chosen pandit; and it is conveyed by him on both these days that he is performing these rituals on behalf of the native. The picture of the native is always kept present during the pooja and it is used as a symbol of the native. For example, if the chosen pandit is supposed to offer flowers to Lord Shiva, he will first touch his hand carrying the flowers with the picture of the native, and he will then offer those flowers to Lord Shiva. All other rituals are also performed likewise. It is important to note that even if the native is personally not present for his Saturn Pitra Dosh nivaran pooja, he is strictly supposed to practice all the necessary precautions for this pooja, in whichever part of the world he may be present during the running time of such pooja. The native should also keep repeating his Sankalp for Saturn Pitra Dosh nivaran pooja on daily basis as mentioned above; and he should ask for the best results of this pooja from god Saturn. Getting Saturn Pitra Dosh nivaran pooja performed along with the other necessary astrological remedies like yantras, gemstones and charities certainly helps reduce the malefic effects of Saturn Pitra Dosh formed in a horoscope. However, it should be kept in mind that Pitra Dosh is a different type of defect, which means that the same remedies or the same poojas are not performed for all the natives like in case of many other defects; and different remedies may be needed in different cases, depending on the planets which form this defect. Hence Saturn Pitra Dosh nivaran pooja should only be performed after properly analyzing the horoscope of the native and after determining that the malefic planet which forms Pitra Dosh in the horoscope of the native is Saturn and no other planet among navagraha. Shri Pitra Kalyaan Pooja or Shri Pitra Gayatri Pooja is performed with a specific count of chant of Shri Pitra Gayatri mantra and through this mantra; a connection is established with lord Narayna who is the ruling lord of affairs related to our ancestors or Pitras. Shri Pitra Kalyaan Pooja is generally performed for the welfare and wellbeing of ancestors as well as in order to uplift and upgrade their status in various lokas or worlds where they may be residing after death. Shri Pitra Kalyaan Pooja is a very good remedy which can be practiced in cases where one or more than one of native’s ancestors had died and no proper after death rituals or no after death rituals were performed for them due to which such ancestors may not be able to move to their proper lokas and they may be stuck somewhere in between. Sometimes such Pitras contact the native through dreams or other such phenomena in order to let him know that they are not well and something needs to be done by the native in order to relieve them from their present state of uncertainty and probable misery. Apart from this reason, Shri Pitra Kalyaan Pooja can be performed for all the ancestors or Pitras in order to convey benefic Karmas and benefic results to them through this Pooja, in whichever worlds they may be at that time; and in order to receive blessings from Pitras. However, it should be noted that Shri Pitra Kalyaan Pooja is primarily meant for forwarding benefic karmas to the ancestors in order to improve their condition in various lokas; and not for the benefit of the native like in case of most other poojas, through the native almost always gets the blessings of such Pitras who do so as a gesture of gratitude towards the native who is doing all the effort for welfare of Pitras. Shri Pitra Kalyaan Pooja can be started and completed on any day of the week depending on the suitability of the day according to the running time. The best time to perform this pooja are the days of Pitra Paksha or Shraadh which are about 15 days of the year, which come once a year and during which, the effect of anything done for Pitras or ancestors increases a great deal. This is why this time is named as Pitra Paksha which in literal sense means ‘The Days of the ancestors’. Hence it is advisable to perform Shri Pitra Kalyaan Pooja during Pitra Paksha or Shraadh, though this pooja can also be performed during other time periods of a year. Shri Pitra Kalyaan Pooja is performed with the chant of Shri Pitra Gayatri mantra in a specific count. Generally the pandits are able to complete this chant or Jaap of Shri Pitra Gayatri mantra in 7 days and hence this pooja is generally completed in a week and all the necessary steps for this pooja are conducted during this time. Shri Pitra Kalyaan Pooja vidhi or procedure may include many different steps at many stages and it is not possible to mention all these steps here, but we will cover most of the important steps for this pooja. The most important step in performing any Pooja is to perform the chant of a mantra specified for that pooja and this chant or jaap amounts to a number of 125,000 in most cases. Accordingly, Shri Pitra Kalyaan Pooja should ideally include a chant of 125,000 Shri Pitra Gayatri mantras and rest of the procedure is built around this chant. To start with Shri Pitra Kalyaan Pooja, a specific day is chosen for the start and completion of this Pooja. At the starting day of this Pooja, a Sankalp or resolution is taken by the pandits which are usually 5 in number. In this Sankalp, the head Pandit or the main Pandit takes an oath before Lord Narayna, Lord Shiva, Goddess Parvati and Lord Ganesha or before Lord Narayna alone that he and his assistant pandits are going to perform a chant of 125,000 Shri Pitra Gayatri mantras for a specific person who is the native and whose name, his father’s name and his family surname is also mentioned in Sankalp. The names of the pandits doing this chant are also mentioned, the days taken to complete this chant are also mentioned which are generally 7 to 10 days and the specific wishes required by the native as a result of this Pooja are also mentioned. This is the first step which starts Shri Pitra Kalyaan Pooja. The specific wishes asked during the sankalp of this pooja generally include the wellbeing of ancestors or Pitras in their respective lokas, to provide benefic results of pooja to the ancestors, to relieve various Pitras from any unfavorable lokas or conditions, to receive the blessings of Pitras and some other similar types of wishes. After this, all the pandits start chanting Shri Pitra Gayatri mantra on daily basis for about 6 to 8 hours a day and in such a way that they are able to complete the total chant of 125,000 mantras till the decided day of completion of this Pooja. The pandits keep chanting Shri Pitra Gayatri mantra on daily basis till the day of the completion and they complete the committed chant of mantras on that day. After the completion of chant of Shri Pitra Gayatri mantra, the completion ceremony is arranged for the Pooja which can take about 2-3 hours if done with proper procedure. A Pooja for Lord Narayna, Lord Shiva, goddess Parvati, and Lord Ganesha is performed first and many types of offerings like flowers, fruits, yellow clothes for Lord Narayna and clothes for other gods, sweets, halwa, dhoop, deepak, milk, curd, honey, desi ghee, sugar and many other things are offered to these gods and goddesses; and the completion of the Sankalp taken by the pandits is repeated. It is conveyed to the gods by pandits that they have completed the chant of 125,000 Shri Pitra Gayatri mantras in the time promised by them and in the manner promised by them at the day of start of this pooja. It is also mentioned that all this chant and Pooja has been done on behalf of their client whose name and other details are again mentioned. It is then preyed that their client should be blessed with the good results of this Pooja since he has followed all the procedures for this Pooja and he has got this Pooja performed through pandits in order to get benefic results from it. Things related to and the things signifying navagraha or some specific planets among navagraha are also offered and donated during the course of this final Pooja ceremony for Shri Pitra Kalyaan Pooja and these things may include rice, wheat, sugar, salt, oil, milk, blankets, copper utensils, pulses, lentils, white moles, black moles and some other things; each of which relate to one or the other planet among navagraha. Apart from this, certain things or foods which were favorites to the ancestors are also donated like, if someone’s grandfather liked Mangos a lot, Mangos are donated during this process. Then the process of Tarpan is carried out through which with the help of mantras, water, rice, white flowers and certain other things, all the things to be donated are passed on to the ancestors and it is prayed to Lord Vishnu that in whichever lokas or worlds, the ancestors may be, they should receive these things in their present form or in form of some other kind of equally enjoyable benefit. After completion of Tarpana and this Pooja, blessings are taken from the gods and goddesses and then the ceremony of Havna is started which is the final and a very important ceremony as this is a ceremony through which a direct connection between the native and the corresponding gods is established with the help of pandits and through the holy fire of Havna. Havna is a very important and technical procedure and it should be done by expert pandits with great attention and care. After lighting the holy fire of Havna, after starting the Havna and after doing the necessary formalities, the chant of Shri Pitra Gayatri mantra is again started and this time with the completion of each mantra, a sound of Swaaha is chanted by the pandits and upon the chant of this sound of Swaaha, certain specific things which form the constituents of Pooja Samagri, are offered in a specific way to the holy fire which has been lit in order to perform the Havna for Shri Pitra Kalyaan Pooja. This process is repeated again and again; and each time the pandits chant the sound of Swaaha after completing one chant of Shri Pitra Gayatri mantra, Pooja samagri is offered to the holy fire of Havna in a specific way. Once the specific chant or Jaap of Shri Pitra Gayatri mantra fixed for the Havna is completed, some other important mantras are chanted. Here again, Pooja samagri is offered to the holy fire of Havna at the sound of Swaaha at the completion of each mantra. Finally, a dry coconut is cut and filled with certain specific things and this coconut is then placed in the holy fire of Havna as the final offering and with the chant of some specific mantras; and the desired result is again preyed by the pandits on behalf of the native. The client or the native is then asked to complete 1, 3 or 7 circles around the Havna kund where each one of these circular movement is called a Pradakshina or a Parikarama and upon the completion of this Parikarma, Shri Pitra Kalyaan Pooja is completed. Though Shri Pitra Kalyaan Pooja includes some other steps and procedures than the ones mentioned above, the above mentioned steps are the most important steps of this Pooja and they should be carried out by expert and established pandits. Missing some of the important procedures or not doing them properly can reduce the desired effects of the Pooja and the native may not get the desired results from this Pooja. There are some precautions which should be observed by the native during the running time of his Shri Pitra Kalyaan Pooja, otherwise he may not get proper results from this Pooja. From the time of start of Shri Pitra Kalyaan Pooja till the time of completion of this pooja, the native for whom this pooja is being performed should abstain from eating non vegetarian food of all kinds including fish and egg. He should stay away from liquors and alcohols of all kinds and he should also stay away from smoking during all this time or he should reduce it as much as possible. Apart from this, the native should also not make sexual contacts with any female including his own wife. The native should also not engage in any kinds of bad conducts of violence, hatred or any other kinds of conducts which are considered immoral; during the running time of Shri Pitra Kalyaan Pooja. The native should try to connect himself to Shri Pitra Kalyaan Pooja on daily basis which he can do by praying to Lord Narayna daily after taking bath and repeating the Sankalp that the main Pandit had made on his behalf at the start of this pooja. The native should address Lord Narayna and say with his words or with his mind that he is getting Shri Pitra Kalyaan Pooja performed with a chant of 125,000 mantras of Lord Narayna and this pooja is being performed at such and such place by a specific number of pandits and that he is following all the procedures and precautions with complete dedication and devotion; and that Lord Narayna should bless his ancestors with the best possible results for this pooja. It should be noted that Shri Pitra Kalyaan Pooja can be performed in the presence of the native as well as in the absence of the native. In case the native is unable to be personally present at the place of Shri Pitra Kalyaan Pooja, this pooja is conducted with the help of native’s picture in which the native should be alone and no one else should be present in the picture. This picture should be as recent as possible. In this case, the main Pandit takes the sankalp for Shri Pitra Kalyaan Pooja on behalf of the native in the presence of his picture. The name of native’s father and the surname of his family is spoken in the Sankalp and it is also mentioned by the main Pandit that this native is unable to attend to this pooja by means of his personal presence and hence a specific Pandit whose name and surname is mentioned, will be performing all the rituals to be performed by the native on behalf of the native. It should be noted that this Pandit is one of the pandits who are going to raise a chant of 125,000 Shri Pitra Gayatri mantras for the native. This way, the rituals to be performed by the native at the starting day and completion day of Shri Pitra Kalyaan Pooja are performed by the chosen Pandit and it is conveyed by him on both these days that he is performing these rituals on behalf of the native whose picture is always kept present during the Pooja and it is used as a symbol of the native. For example, if the chosen Pandit is supposed to offer flowers to Lord Narayna, he will first touch his hand carrying the flowers with the picture of the native and then he will offer those flowers to Lord Narayna; and all other rituals are also performed likewise. It is important to note that even if the native is personally not present for Shri Pitra Kalyaan Pooja, he is strictly supposed to practice all the necessary prohibitions for this Pooja, in whichever part of the world he may be present during the running time of such Shri Pitra Kalyaan Pooja. The native should also keep repeating his Sankalp for the Pooja on daily basis as mentioned above; and he should ask for the best results of this pooja for his ancestors, from Lord Narayana. Completing Shri Pitra Kalyaan Pooja with a chant of 125,000 mantras of Lord Narayna and doing it with due procedure, dedication and devotion can definitely bring the results desired by the native whereas missing important steps of this Pooja or altering Pooja vidhi or procedure in an improper way may reduce the benefic results of this Pooja.